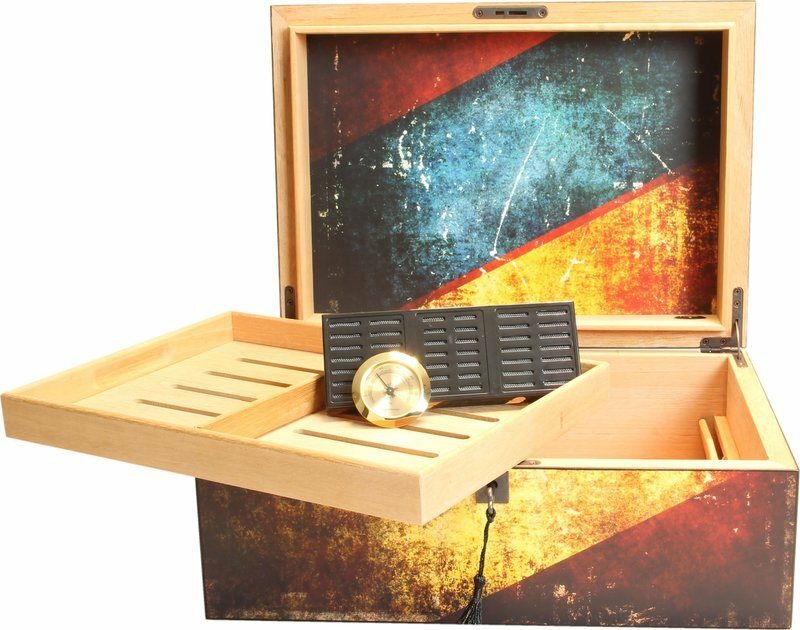 The colourful design of this humidor from Angelo makes it truly unique. The dividers help to keep your cigars well organised. The humidor is sold with a hygrometer and a humidifier included.